The Scot was dismissed on Tuesday morning following the club’s 11th Premier League defeat of the season at Everton but spoke of his pride at having managed the Old Trafford outfit. David Moyes has thanked the Manchester United fans following his sacking on Tuesday and says he is “proud” to have managed the club in a statement made to the League Managers Association. 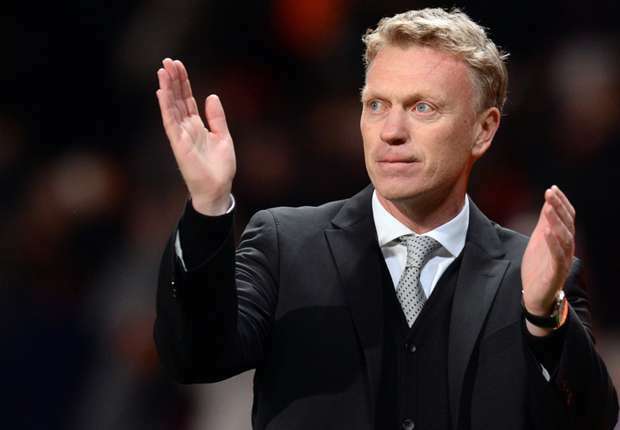 Moyes was sacked following a 2-0 loss at Everton which confirmed the club would miss out on Champions League football next season and the Red Devils look set for their lowest finish since the 1989-90 season. Via the LMA, the Scot said: “To have been appointed as manager of Manchester United, one of the biggest football clubs in the world, was and remains something of which I will always be incredibly proud. “Taking charge after such a long period of continuous stability and success at the club was inevitably going to be a significant challenge, but it was one which I relished and never had a second thought about taking it on. “The scale of the manager’s job at United is immense, but I have never stepped away from hard work and the same applies to my coaching staff. I thank them for their dedication and loyalty throughout the last season. “We were fully focused and committed to the process of the fundamental rebuilding that is required for the senior squad. “This had to be achieved whilst delivering positive results in the Barclays Premier League and the Champions League. Sir Alex Ferguson handpicked Moyes last season to succeed him following 11 years at Goodison Park but United have suffered a difficult transition. The club were eliminated from the FA Cup in the third round – one of many unwanted records accumulated by the 50-year-old in his one season in charge. “In my short time at the club I have learnt what special places Old Trafford and Carrington are. I would like to thank the United staff for making me feel so welcome and part of the United family from my first day. And of course thank you to those fans who have supported me throughout the season. I wish you and the club all the best for the future.